I consider myself to be outrageously fortunate. Not because I’ve had an easy life – far from it – but because I really, really love what I do for a living. I work within a fabulous team to support committed coaches in building their own coaching businesses, so that they too can do what they love (and love what they do) and also feel outrageously fortunate. I do this with a whole crowd of other coach/mentors, each of whom is utterly committed to the success of our coach/mentees. My part in this process is to talk to interested parties. I, along with Kathryn MacNeill and Mandy Whitehouse make up the business development team. Between us, we talk to all coaches who might be interested in working with us. We are actively seeking out those coaches who are able to do the thing we coaches are all about – take action. It’s a funny thing that even though one might expect that all coaches are action-takers, it’s not the case. Kathryn, Mandy and I have the job of sorting out the action-takers from the wishful-thinkers; the ones who will do the work, from those who are talking to us because they want us to do the work for them. 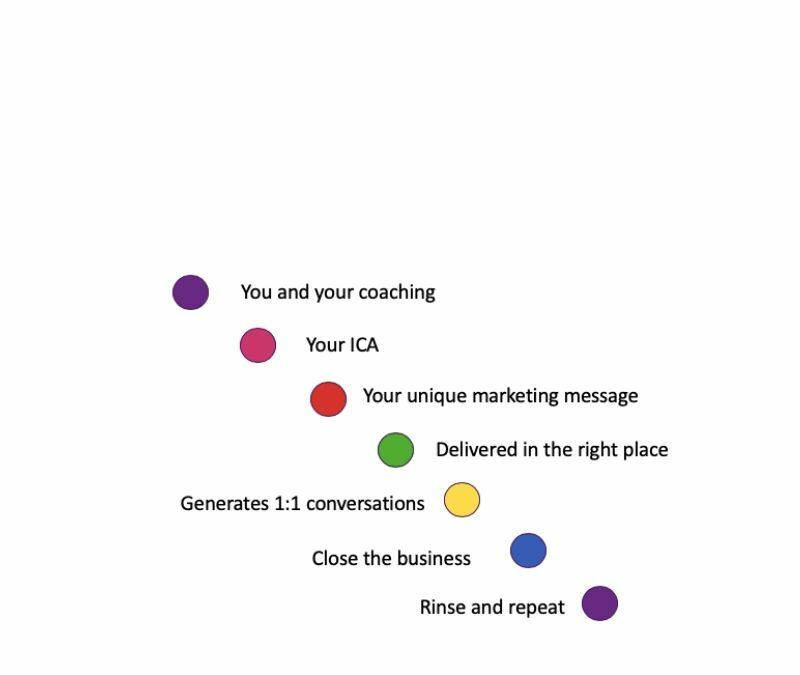 The Coaching Revolution is not a ‘done-for-you’ thing. It is a 100% do-it-yourself thing, but our coaches do it with support. What’s more, it’s exactly right, delivered 1:1 and within a supportive community of professional coaches who are all on the same journey. If I had to pick one thing that makes me feel the most fortunate, it’s watching our mentee coaches thrive. Is is plain sailing for them all? Of course not! Like any new business, there is a process of reviewing, reflecting and adapting to go through. However, our coach mentees don’t have to figure this out for themselves. Not only do they have their mentor to rely on, they also have the entire community. Our mentees learn how to join those dots to create a business that they love. It doesn’t get much more straightforward than this, does it? I am an outrageously fortunate coach.